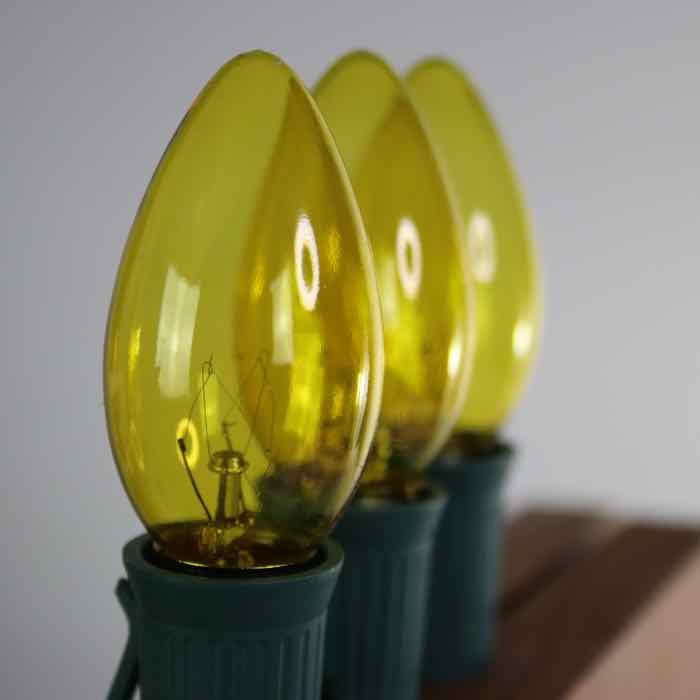 These transparent yellow C9 bulbs will bring a lovely glow to all your projects, both for Christmas and during the year. We suggest bringing out these yellow Christmas lights for special occasions. Easter is a wonderful time of year to add a little sunshine. Golden wedding anniversaries will celebrate a wonderful event with these golden lights. 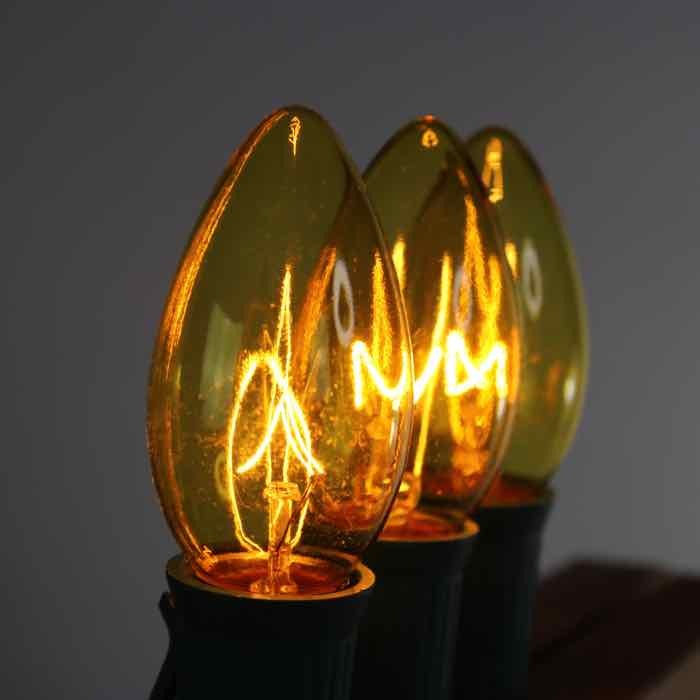 These yellow C9 bulbs are also a good choice for your summer celebrations as well. String them along your gazebo or outdoor structures to share happiness with your summer guests. We suggest using this fun color all year long to bring a festive air to your home. 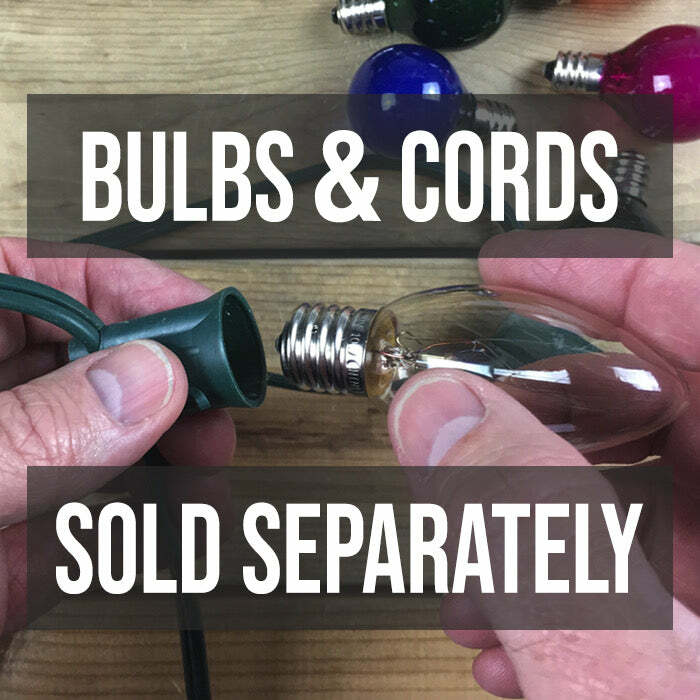 Be sure to look for our many varieties of installation hardware to make installing your indoor and outdoor Christmas lights much easier. We bought these to put in our cords in October. Very nice Fall color.